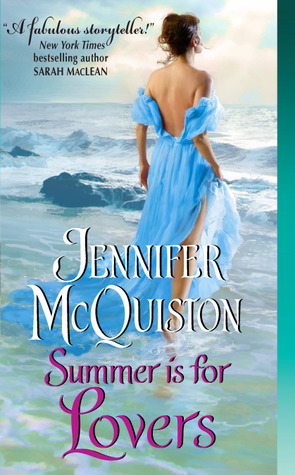 I think this is a pretty cover, and I wish I was the one walking barefoot on the beach. I know I would not wear a floaty, frothy dress if that was me wading in the water…. Luckily, her interest lies in the rest of him…Though she was just a girl when they first met, Caroline Tolbertson’s infatuation with David Cameron remains undimmed. Now fate has brought the handsome Scotsman back to Brighton for what promises to be an unforgettable summer. Soon, Caroline will have to choose a husband, but for now she is free to indulge her curiosity in things of a passionate nature. ← Interview with Michelle Smart, Author of Tempted by Trouble and Giveaway!